I bet you’re wondering what your odds of victory in the playoffs are! I found the mathematical formulas that a Vegas Sports Book uses to predict baseball games and guess what? We keep all the necessary inputs to use their formulas! This means we can find out find out how a Vegas sportsbook would handicap each one of our games! And I’ve done exactly that! First match up . 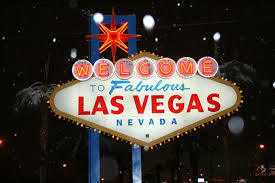 . .
Vegas gives Boccin in the Free World a 88% chance of victory. Vegas seems to like Boccin in the Free World, they are sure of the outcome, if they saw Amanda play last week like I did they might not be so sure. Vegas gives Gone Fishing an 83% chance of victory. How do these percentages translate into betting? I should look that up next time. Vegas gives Glory Rollers a 67% chance of victory. Not a lot of close outcomes this year. Vegas is feeling sure of itself. Vegas gives Elite Ball Handlers a 66% chance of victory. The second lowest margin of victory for the highest seed. Interesting. Vegas likes something about Green Machine! Finally we’ve got . . .
Vegas is giving Thunderballz a 93% chance of victory. Vegas loves Thunderballz! But then again who doesn’t. Good luck on Wednesday everybody!